KUALA LUMPUR (June 16): Last-minute buying helped lift the FBM KLCI into the positives, with market sentiments mixed as investors took cue from developments in US and Japan. Investors' profit-taking proved a drag on Bursa Malaysia's initial upward trajectory that was seen in early trades, which resulted in a gradual sell-off throughout the day. The benchmark index inched up a marginal 1.3 points or 0.07% to eventually close at 1,791.31 points at 5pm, after hitting its intra-day low of 1,787.84 points about 15 minutes before market close. Inter-Pacific Research head Pong Teng Siew told theedgemarkets.com that the market has received some sort of support in anticipation of the 14th general election. "There was some play on the election theme looming up ahead. They [the funds] may have tried to end the day above 1,800 points [after seeing] the market [going] up smoothly but eventually failing [to keep up the momentum]," said Pong, adding that investors should prepare for a "confused picture" ahead of the extended weekend next week. Elsewhere, Japan's Nikkei 225 rose 0.56%, South Korea's Kospi inched up 0.01%, while Hong Kong's Hang Seng Index rose 0.24%. Japan's Nikkei share average rose to a one-week closing high on Friday as the yen dropped, after an expected policy decision by the Bank of Japan (BOJ) provided relief to investors, according to Reuters. Concurrently, US stocks went down slightly on the back of the strengthening US dollar, which took cue from BOJ's decision as well as the Federal Reserve's interest rate hike on Wednesday — its second time in three months. Back home, some 2 billion shares worth RM2.93 billion were traded. Gainers led losers at 359 against 525 counters, while another 386 were left unchanged. 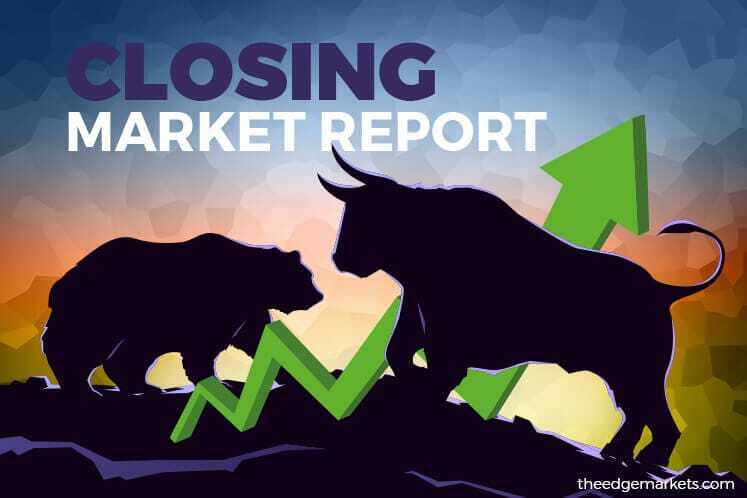 The top gainer was Kuala Lumpur Kepong Bhd, which climbed 56 sen or 2.26% to settle at RM25.30, while the losing counters were led by Dutch Lady Milk Industries Bhd, which lost 48 sen or 0.82% to close at RM58.